Pastor Shirley came to Saint James in 2013. She is passionate about living a life in Christ fully and works to help others discover the joy and strength that comes from this life choice. It is all about Kingdom living. Shirley holds a BA with a Music Performance major and religious studies minor from Eckerd College and a Masters in Divinity from Asbury Seminary in Orlando, Florida. She has served the United Methodist Church for over 25 years as Music Director, Youth Director, and the past 16 years as a pastor. Shirley is married to Rod Groom and they have 7 children and 8 grandchildren. 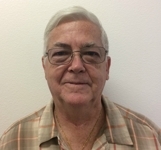 Fred joined our team in September 2017 after 35 years at the Sarasota County Sheriff’s Office. 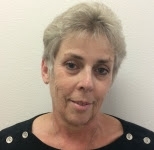 She worked in several areas over the years, including the Budget Office and Fiscal Services and ending with serving as the Administrative Assistant in the Special Investigations Section. Fred has been a member of Saint James for almost 36 years. Kate is thrilled to join the staff at Saint James as Worship Director after being a part of our praise team for the latter part of 2018. 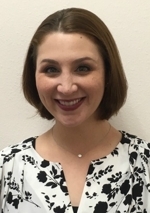 She holds a Bachelor’s degree in Music Education from Florida State University, and has spent the past twelve years as a music educator and performing arts director. Kate resides in Bradenton with her loving husband, Matthew, and their son, Jack. Bill joined our team in 2017 after successful careers in investment banking, real estate, consulting and higher education. He brings an array of talent in finance and accounting as well as interpersonal relationships. He’s well settled in his position and is enjoying many new friendships at Saint James.